Established in 1971, the museum is one of only four U.S. institutions dedicated to the arts and culture of Asia and the Pacific Islands, serving the city of Los Angeles and the Greater Southern California region. The museum’s mission is to further intercultural understanding through the arts of Asia and the Pacific Islands. The museum’s historic building has served as a center for art, culture and learning in Pasadena since its construction in 1924 by pioneering collector and entrepreneur Grace Nicholson (1877-1948) as her residence, galleries, and Treasure House/emporium. Ms. Nicholson’s championing of Asian art early in the century set the tone for much of the Pasadena community's arts-related activities during the ensuing decades. The building also served as the site of the Pasadena Art Museum, which was renowned for its groundbreaking exhibitions of contemporary art. Now the Pacific Asia Museum has combined the spirits of both its predecessors in its focus on the classic and contemporary arts of Asia and the Pacific Islands. 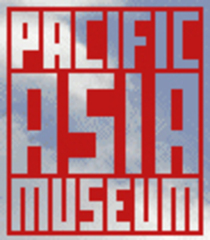 Pacific Asia Museum continues to be a vital resource for education, preserving the community’s cultural heritage and engaging the community in a dialogue about art, history, and culture. In its brief history, the museum has organized and presented a number of groundbreaking exhibitions, including the first North American exhibitions of contemporary Chinese art after the Revolution and the first exhibition of Aboriginal art in the United States. Exhibitions originated by the museum have traveled across the country and to Japan. The museum is also committed to scholarship and has produced over fifty exhibition catalogues.